While Flipkart’s white collar employees are relishing the perks being doled out to them, including generous maternity benefits and incentives for adopting children, not all people working with the e-commerce giant are happy. 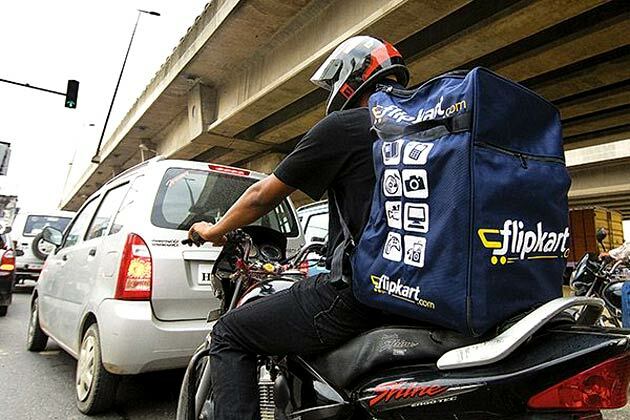 Hundreds of delivery workers of working Flipkart and its subsidiary Myntra have gone on strike in Mumbai demanding toilet facilities at delivery hubs, proper working hours, extra allowances for overtime, a six-day week, uniforms and proper work schedules. Reports state that workers claimed 10,000 packages are pending for delivery due to the strike. The workers, who are affiliated to Maharashtra Navnirman Kamgar Sena, have been told that a meeting with the management has been fixed for August 4, 2015 to break the deadlock. Officials of both Flipkart and Myntra said that some issues raised were unreasonable. “Uniforms, for instance, are issued as two sets a year, but workers are asking for five. Also, they have a 6-day work week, and weekend offs are roster- based, unlike long work hours being as alleged,” an official said. Delivery is the backbone of the online market, which can either make or break an e-commerce firm. Ecommerce companies should be on guard to protect this vital function, which can dent their business in a matter of days. While these companies have been making news on initiatives taken for their employees and workplace, the delivery staff seems to have been left out from these measures. It is time to pay attention to them as well.